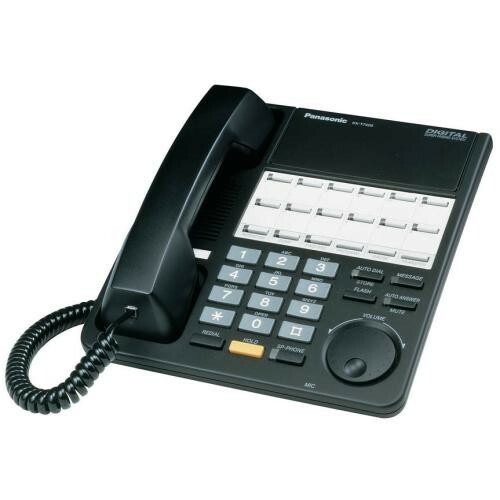 The Panasonic KX-T7420 E Series Phone is a digital conference speakerphone compatible with Panasonic Super Hybrid KXT systems. This unit has 12 programmable line buttons, a 12 CO-line facility and a 3-way conferencing capability. Altogether a versatile terminus suitable for a scalable PBX exchange. Additional features include XDP, Scale PBX speed-dial memory and RJ11 XDP WOHCA Intercom key.